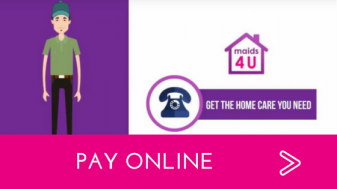 Whatever your domestic cleaning needs – Regular Cleans, Spring Cleans, End of Tenancy, Moving In/Out or Specialist Cleans you can rely on maids4U to tailor a service to meet them. maids4U has been providing domestic cleaning services across Perth and Dundee since 2014. maids4U was launched to allow us to offer our customers a highly efficient and hygienic clean, backed by unparalleled levels of customer service delivered by a local family run business. Our customers demand exceptional cleaning standards from a company who is reliable and customer focused – we do not let them down and we’re so confident in our service that we back this with a 100% no quibble guarantee. Take a look at our testimonials or call now and we will provide contact details for existing customers who will vouch for our service. No two customers are the same so we offer a cleaning service that is customised to suit your individual requirements and budget. During the initial visit to your home, we will provide recommendations on areas of focus and room rotations to optimise our system and provide results with value. Our teams are all permanent staff, we do not use casual staff. They are professional cleaners, highly trained, totally reliable, fully insured and Disclosure Scotland checked. We work in teams of two and you will be assigned the same team each visit so they get to know your requirements. Get in touch with us today on 0800 689 0207 to discuss our residential and domestic cleaning.